March 4, 2018 By Allyson 72 Comments This post may contain affiliate links. Read my disclosure policy. 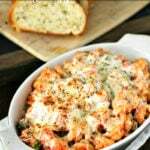 This hearty Cheesy Vegetable Pasta Bake is full of delicious fresh vegetables, loaded with cheese, and best of all only takes ONE pot to make! Your family will beg for this meal! In an effort to spend more time as a family eating, we decided to throw together an Easy Cheesy Vegetable Pasta Bake for dinner. Taking less than 20 minutes from start to finish, it is a super quick and easy family friendly meal. Who doesn’t love pasta, anyway?! Chop up the vegetables. 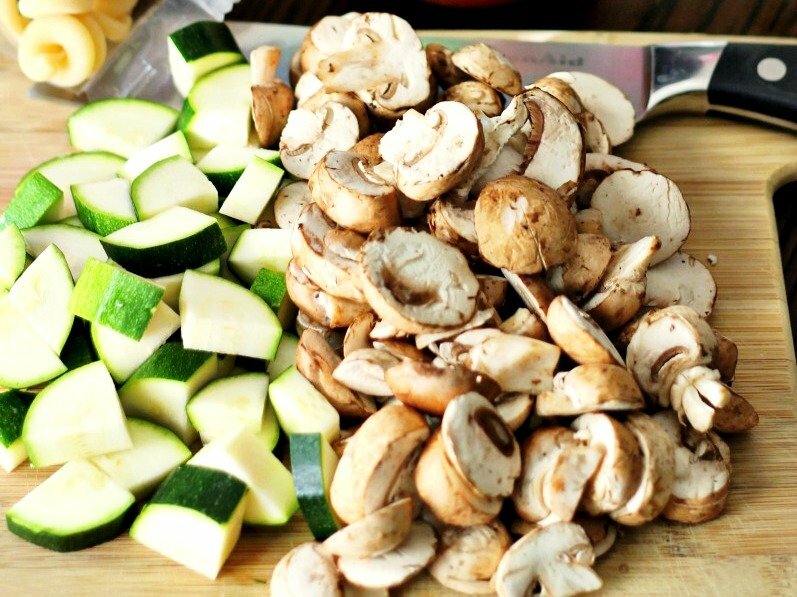 I like fresh zucchini and mushrooms, but you could also add asparagus, yellow squash, broccoli, cauliflower, or whatever vegetables you like best. Boil water in a large pot, and add the noodles. When there is about 2 minutes left until the noodles are finished, add the chopped vegetables into the water. Cook 2 more minutes then drain the noodles and vegetables. Add everything back to the empty pot, then pour the sauce into the pot, add a handful of mozzarella cheese, and mix everything up! Pour the pasta mixture into a baking dish, add more cheese and Italian seasonings on the top, then broil for a few minutes to melt and brown the cheese- YUM! Want to add more protein to your Cheesy Vegetable Pasta Bake? Whip up Skinny Baked Chicken Parmesan to serve alongside the pasta. This chicken dish is healthy and only takes about 20 minutes to cook as well! Make homemade garlic bread! This Best Ever Easy Garlic Bread recipe has been pinned over 20,000 times and there is a reason why – it’s EAST, DELICIOUS, and a PERFECT SIDE DISH! I love making an easy Wedge Salad to serve with this Easy Cheesy Veggie Pasta Bake as well. Go all out and make homemade chunky bleu cheese dressing for the wedge salad and your family will thank you! Colander for straining the pasta and vegetables. large pot is essential for boiling the pasta and vegetables, then mixing with sauce after straining. A baking dish will be used to broil the pasta dish. It needs to be oven safe! A cutting board will be needed to chop the vegetables! My Favorite santoku knife is going to help you chop your vegetables like a pro! Bring a large pot of water to a boil. Add pasta and cook according to package directions. 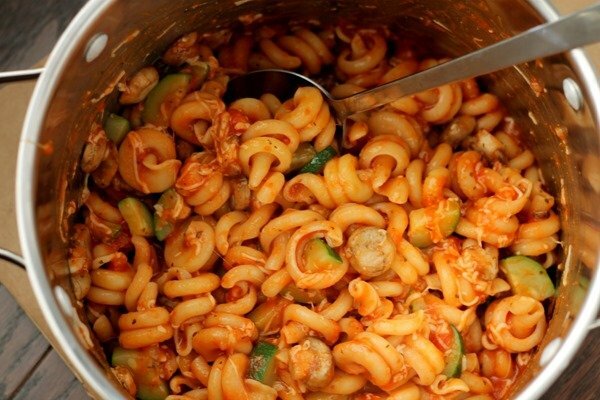 When there is 2 minutes left before the pasta is done, add zucchini and mushrooms into pot. Cook remaining 2 minutes. Strain. Add pasta sauce to pot, then add the strained pasta/veggies into the sauce. Mix well. Add 1/3 cup of mozzarella cheese into pot. Mix well. Grease a large casserole dish with cooking spray, and then dump pasta mixture into baking dish. Top with remaining 2/3 cup mozzarella and 1/4 cup parmesan cheeses. Sprinkle Italian seasoning over the top. Place under the broiler and cook for 3-5 minutes. Watch closely as it can burn quickly and cook time depends on oven. When the cheese is bubbly and browning remove from oven. Mushrooms definitely give it a meaty boost! This looks so good and simple – thanks for sharing! I love your wall paper!!! That looks like a recipe even I can make. Thanks!! This looks really good and easy to make which is just what I love! Your recipe looks yummy! It would be great for busy weeknights when my kids have activities and I don’t have much time to cook. That’s awesome that Barilla is donating meals to Feeding America. Thanks for spreading the word. 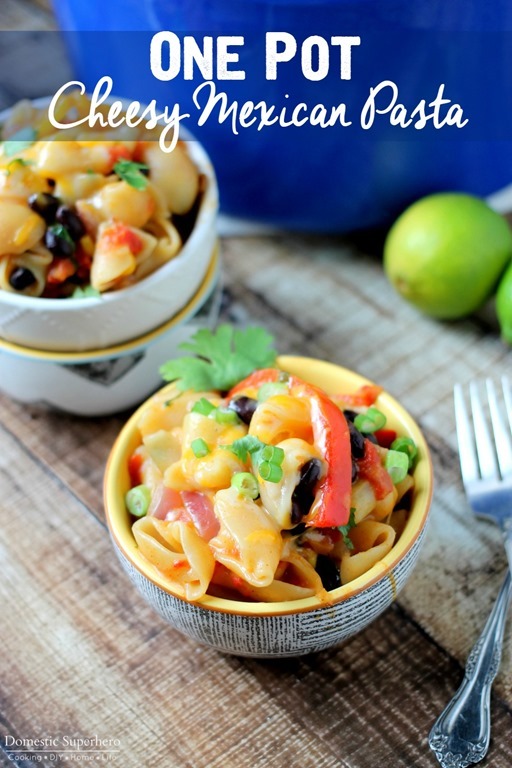 Recipe looks yummy, plus I love Barilla brand products! 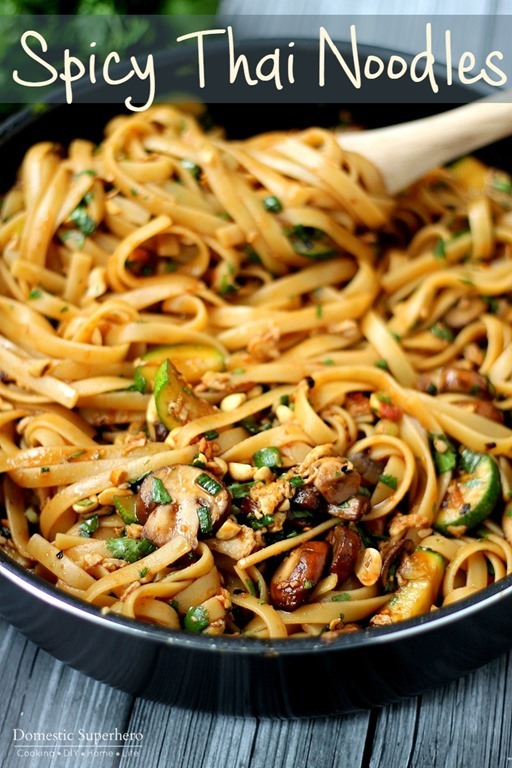 Adding mushrooms to my pasta dishes is so delicious! I love the flavor pairings! 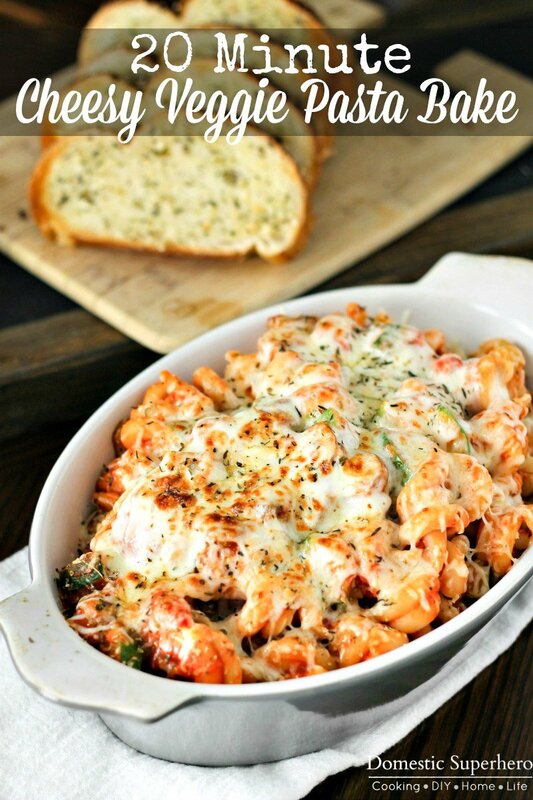 That pasta bake looks delicious! I have always like Barilla brand pasta. Wow.. I can make THAT in 20 minutes! Sign me up! That looks phenomenal! LOVE their products, they taste SO good – our family buys the pasta and sauce all the time! Your recipe looks delicious! I love the idea behind this campaign. It’s so important for families to eat together more, especially in today’s busy world. Looks Delicious Will Have To Make The Recipe For My Family! I’m going to try and make this! Looks yummy! That looks delicious, and I like the idea that it’s fast and easy to make. I love that Barilla is giving money to such an important cause, too. I think this dish would be a great way to get my daughter to eat zucchini. It looks delicious! Mmmm, all that gooey cheese along with the sauce and pasta sounds wonderful. Hearty meals are a fave of mine. This looks so good! WIll you cook for me too? LOL I am going to make this for my boys. Love Barilla products. The recipe is fantastic and I will give it a try. As a busy wife and mother, 20 minute meals are a great friend. I’m trying this tonight! 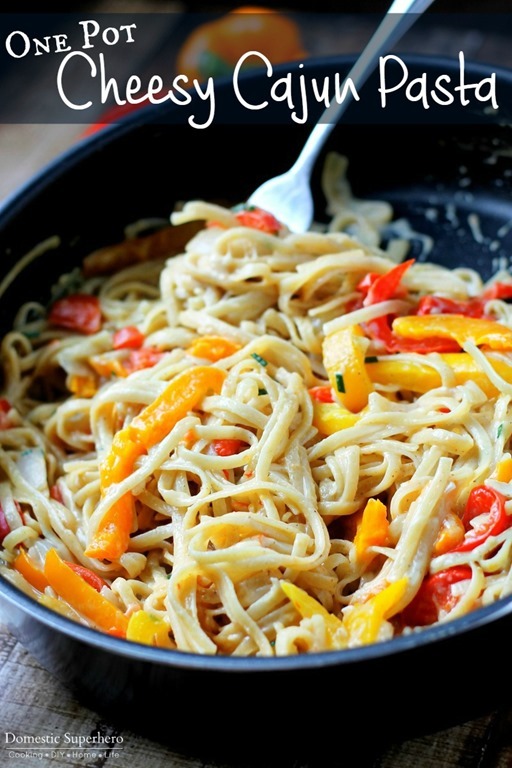 We love pasta at home and this looks different for sure from what we normally have! A dish that looks that good in only 20 minutes?! Sign me up. 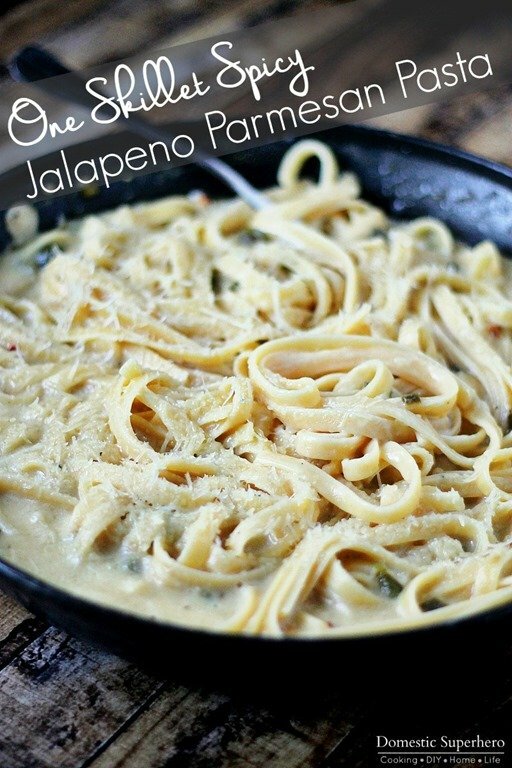 We love pasta in our house so I am always searching for quick and easy recipes to try for busy nights. Anything that tastes good and comes together in under 30 minutes is a total win! 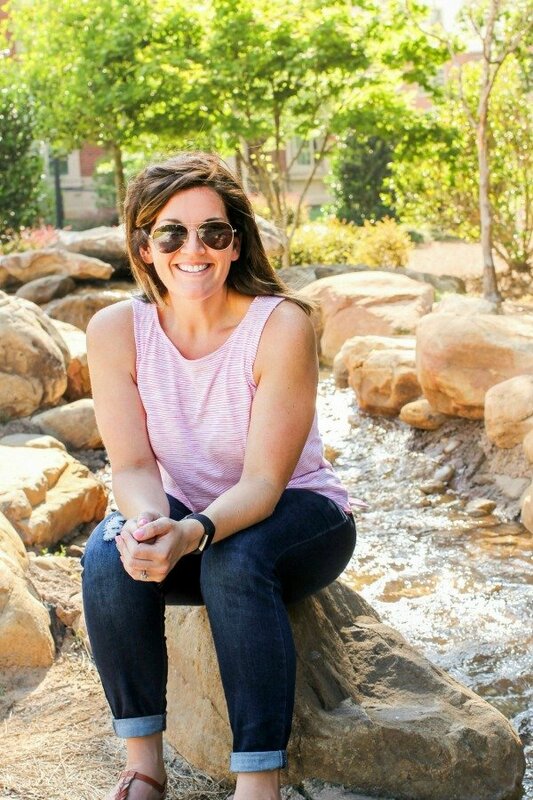 I love what Barilla is doing and I definitely can relate with such busy lifestyles with three children in activities, school, and working from home, having dinner made quickly is critical in the Rogers household. This looks so good, I will be stopping at store just to pick this up today. Thank you for the suggestion and recipe! I don’t know if I’ve ever seen such perfectly melted cheese! I want it now! can we throw it in the oven also??? instead of broiler? Yes, that would totally work but may take a little more time to melt the cheese! I would put it at 400-450 and watch as it melts! Do you have any other suggestions of veggies instead of the mushrooms that would work with this cooking method? I didnt know you could throw veggies in the pasta water and they would cook! Could you do it with peppers, carrots, anything like that? I haven’t tried any other veggies, but I probably wouldn’t recommend carrots. I think peppers, zucchini, summer squash, asparagus would all work! OMG !! cheese !! I am the biggest fan of cheese. Definitely I would try this recipes at my home. This sounds like my kind of dish! My family would devour this and ask for more. All that CHEEESE!!! Love it! Oh yeah, and those veggies too 😉 YUMMY! I’m trying to make more meatless meals, and I can’t wait to try this! WOW!! That cheese is ahhmaaazing!! My family would love, LOVE this dish!! I can’t wait to make it!! This might be the only way I can get my kiddos to start eating their veggies at dinner time. I love this dish any day of the week! When I saw those mushrooms, that made it for me! This is right up my alley this week! YUM!